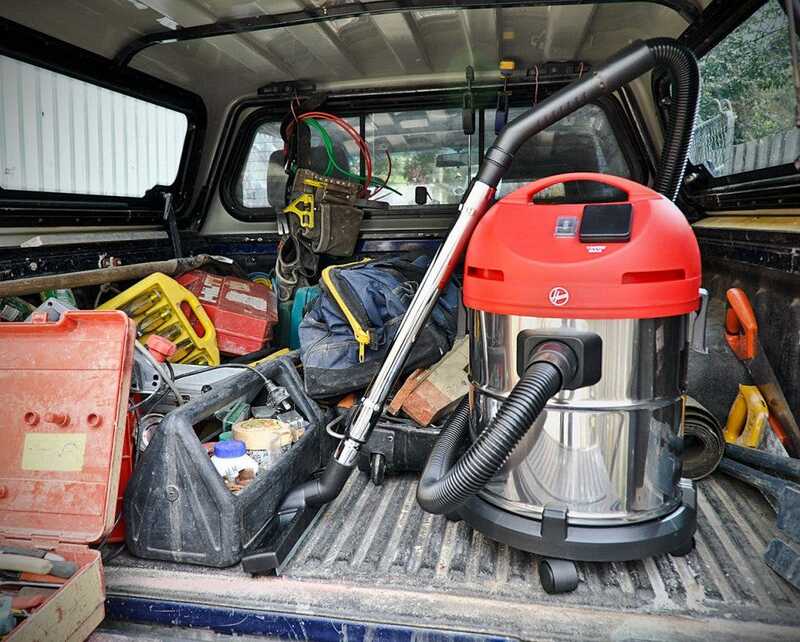 The massive 25-litre dust canister is ideal for larger cleaning tasks, where there is a significant volume of dust and dirt to vacuum. 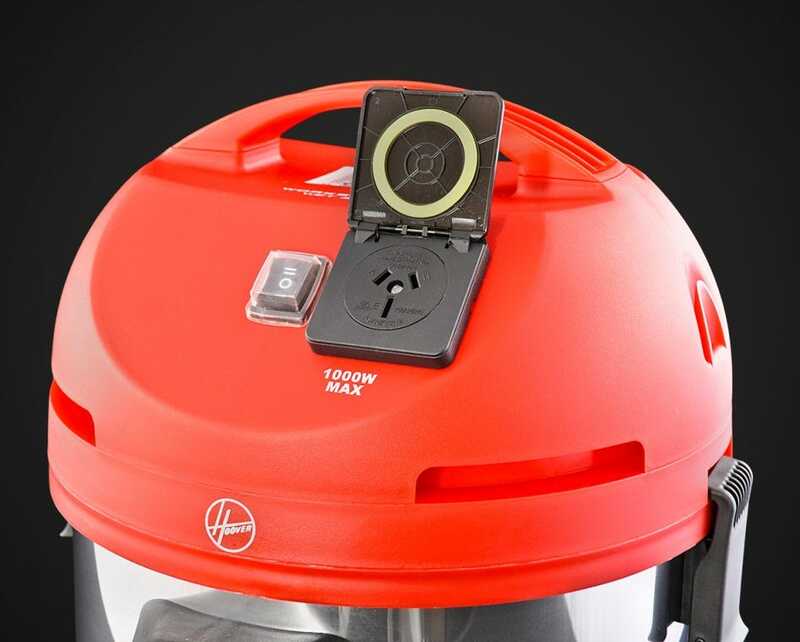 Having a power outlet in the top of the vacuum allows you to attach a power tool and then use the vacuum as an extractor while you work. 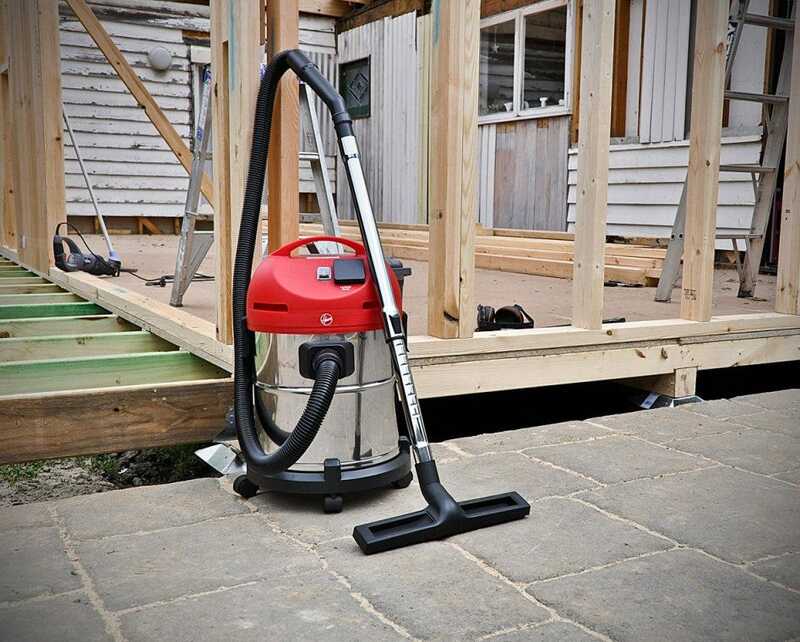 A popular feature for tradesmen and other commercial operators. 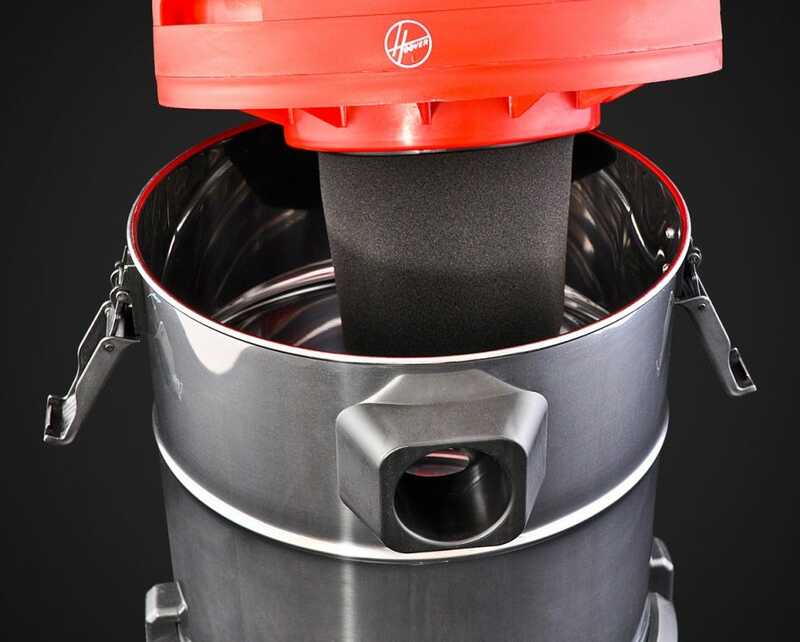 This unit can be used for both dry dust and dirt, and also wet material pickup. 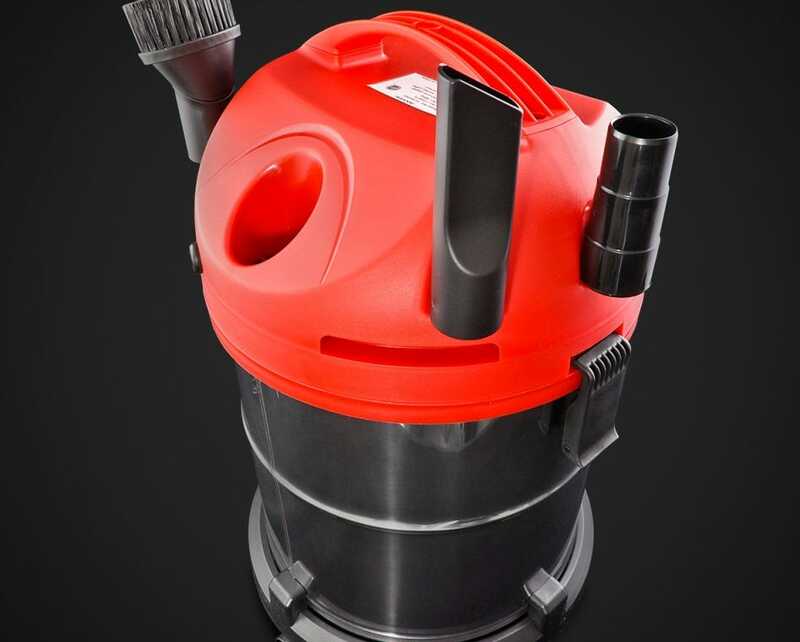 This makes it ideal for plumbers and workshops who have regular spills to clean up. 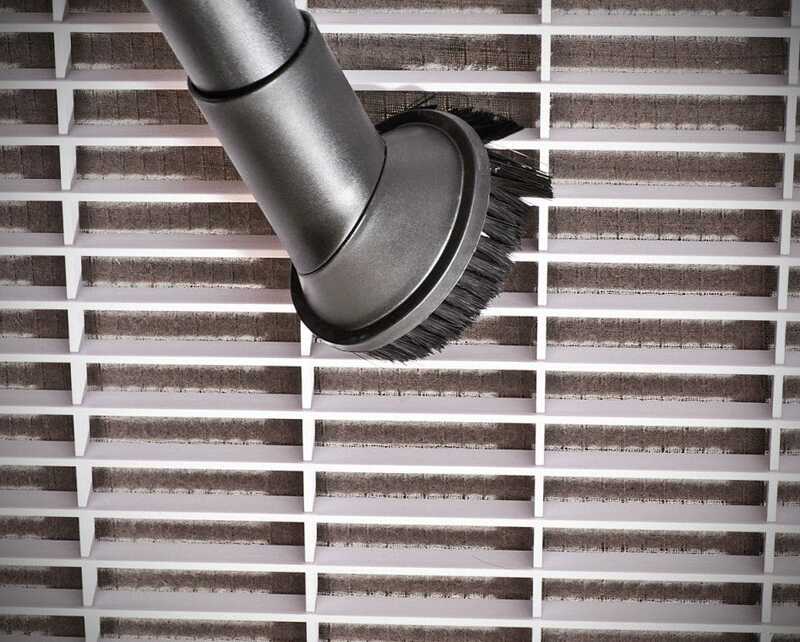 Genuine Hoover tools are used to ensure an exceptional cleaning performance, including a crevice tool and dusting brush for tricky areas. 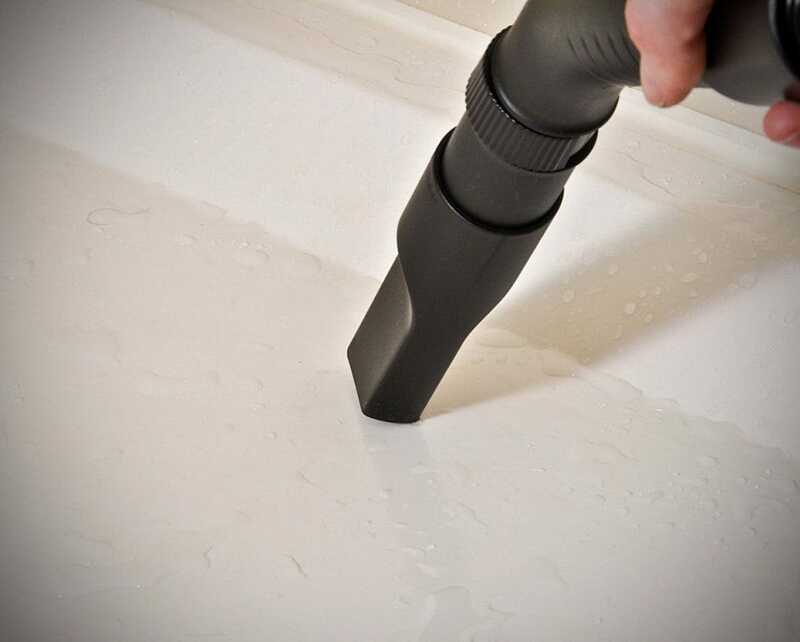 The telescopic rod is shatterproof to ensure a long life. 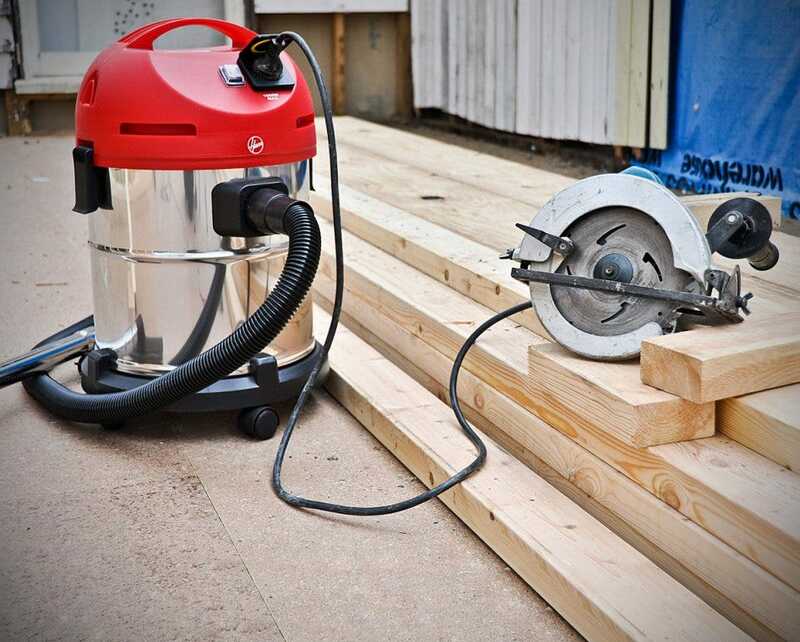 Four solid castor wheels ensure moving the vacuum around your business is easy. 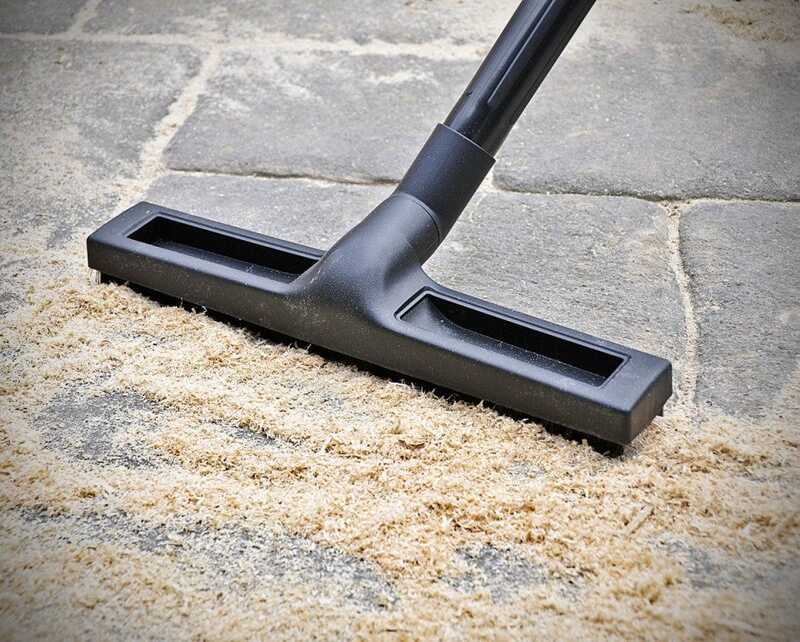 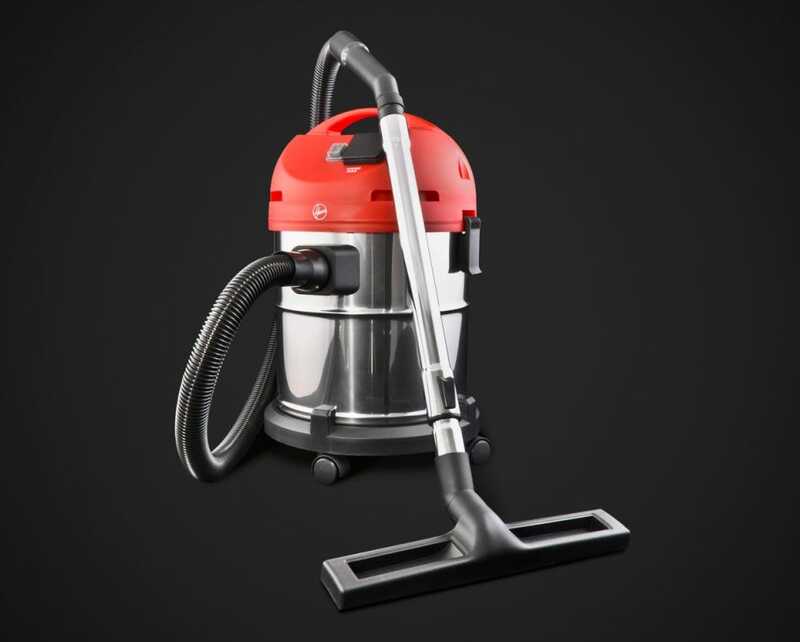 Take the vacuum from one job to the next with minimum fuss. 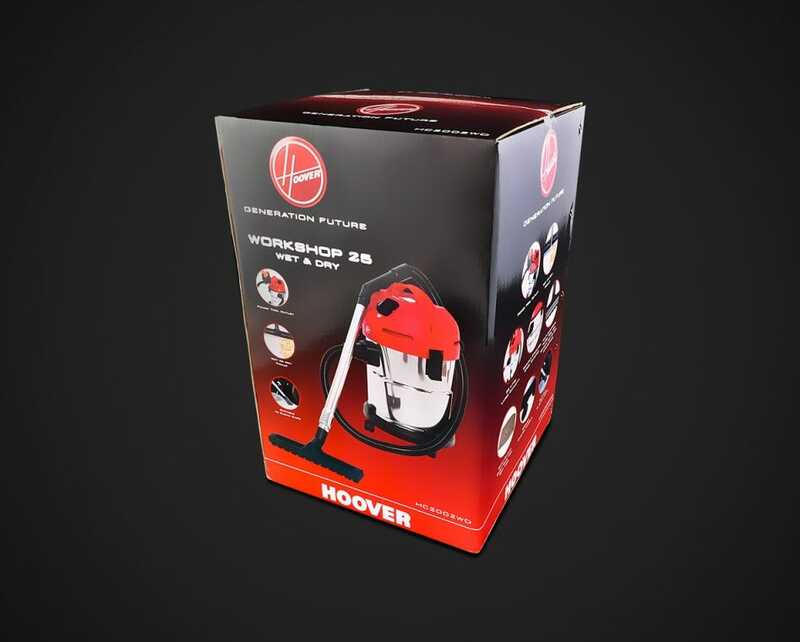 To cope with the demands of a commercial cleaning environment, the Hoover 25L Wet and Dry is constructed from durable materials that are built to last. 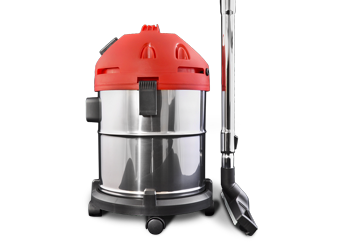 The Hoover 25L Wet and Dry Vacuum comes with a 1-Year Hoover Warranty.